This entry was posted in Substance Abuse and tagged Pain Medication, Preventing Misuse, Signs and Symptoms on July 13, 2016 by Jacquelyn Ekern, MS, LPC. Over the counter drugs and medications can be helpful for managing symptoms associated with the common cold and with minor ailments such as headaches, backaches, muscle sprains, etc. Acetaminophen is one such medication that can easily be purchased over the counter and is useful as both a pain reliever and fever reducer. This substance is most notably found under the brand name drug Tylenol as well as other over-the-counter cold medications and even in pain-relieving prescription drugs such as Percocet. There is a common misconception that over-the-counter medications are somehow safer than prescription medications because of the ease of purchase and use. Many individuals may even “self-medicate” and take a much higher dose of an over-the-counter drug than what is recommended so they can attempt to treat symptoms more rapidly. This is considered misuse of a drug substance, and it can prove potentially fatal if no appropriate intervention is provided. The misuse of acetaminophen, for example, is one of the most common causes of acute liver failure in the United States. While considered safe when taken in recommended doses, acetaminophen can be toxic to the body when taken excessively, making it difficult for the liver to effectively process this substance. An overdose of acetaminophen can lead to symptoms such as gastrointestinal distress as well, during which an individual might experience severe nausea, vomiting and stomach pain. Ultimately, damage to the liver and liver failure is the greatest risk associated with an overdose of acetaminophen, which in severe cases, can create the need for a liver transplant for survival. Acetaminophen is commonly found in many households and the everyday medicine cabinet, but use of this drug should not be taken lightly. If you suspect that a loved one is abusing acetaminophen, be sure to have a conversation that addresses these concerns. 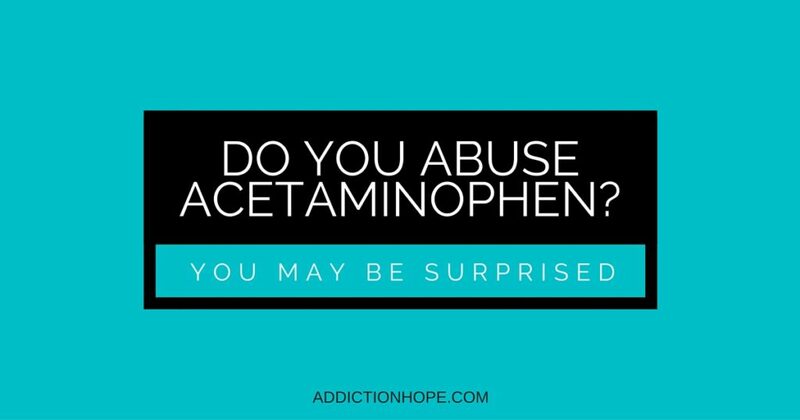 Undergoing professional treatment and/or working with an addiction specialist can prove to be a helpful intervention for an individual who is abusing acetaminophen. Why do you think individuals may be more likely to abuse a drug such as acetaminophen simply because it’s available over the counter? Please share your thoughts in the comment section below.